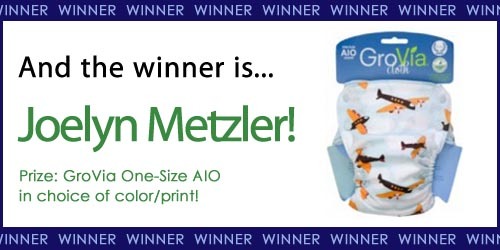 Month of Giving - Buy 1 Give 1 Imagine Diapers! 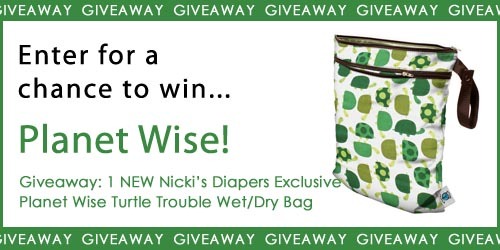 NEW Nicki's Diapers Exclusive Planet Wise Print GIVEAWAY! 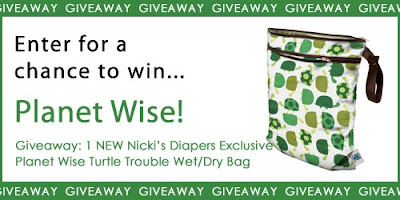 All through the month of December, for every Imagine Cloth Diaper you buy, we will donate one to a child in need! No limit on the amount of diapers donated! 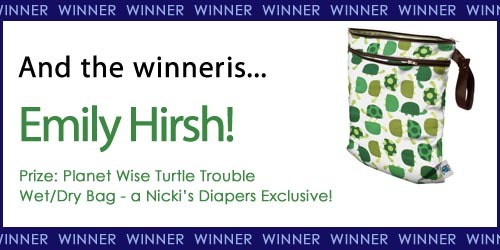 Do you already have enough cloth diapers in your stash and you just want to help out? We have now made it possible to buy an Imagine Diaper to be donated directly, and we'll even match that purchase, so two diapers are donated! Buy 1 Give 1 TODAY! In a previous blog post, I wrote about what I think are the Top 10 Gifts for Toddlers 12-24 months old. This time I'm going to talk about my favorite gifts for the littlest ones on your shopping list, 0-12 months old! Just last year my Emmett was only 1 month old at Christmas, and being my 3rd boy, I was again having trouble shopping for him! This year I have a brand new niece on my list, so here is what I've come up with! 10. Organic Farm Buddies: These are quite possibly the cutest and softest little critters you've laid your eyes on! Available in a ring, blankie or buddy, these little toys are perfect for chewing and snuggling and the bright patterns will certainly catch your little one's eye! 9. Jellystone Designs Chocolate Chew Bar: How funny will your little one look chomping on this silicone chocolate bar?! Various textures on the soft BPA-free bar will sooth your little one's teething pain and the sight will definitely bring a smile to anyone's face! 8. Pediped or Baby Bella Maya Shoes: They may not be walking yet but who says they shouldn't have stylish accessories? 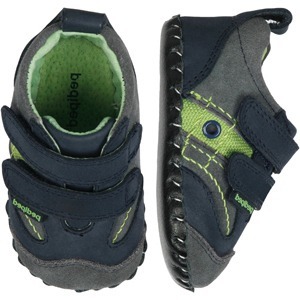 Both of these shoes are soft soled for healthy foot development, have velcro closures to stay on baby's feet, and are available in a huge variety of styles! 7. 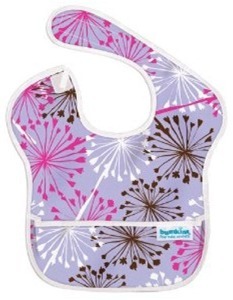 Bumkins SuperBibs: In the world of feeding bibs, Superbibs are my ultimate favorite! Not only do they have the CUTEST prints, but they clean up so easily and their top quality keeps them looking new from child to child! 6. L'oved Baby or Zutano Clothing: If you don't have a baby, check out these two clothing lines and I guarantee you'll be wanting another one! L'oved Baby makes classic layette staples that look so pure and simple. Zutano's bright colors and prints are unlike any other line you've seen. 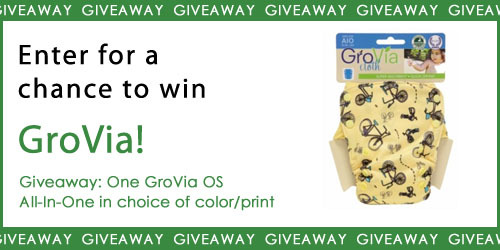 Both are perfect gifts for the under 1 year old! 5. Babylegs: I have personally found Babylegs to be one of the most functional and versatile baby accessories on the market! 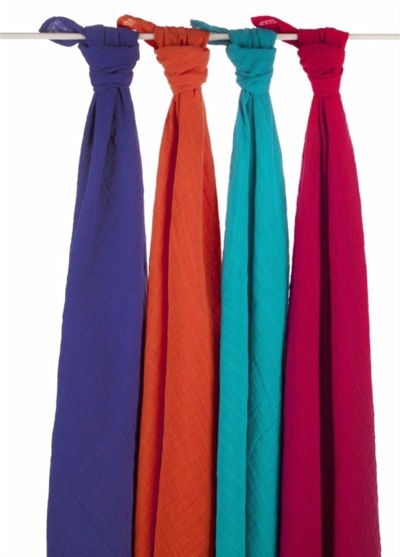 They are perfect for laying in a cold day, can be worn with diaper and shirt around the house for easy diaper changes (and eventually potty training), and are just so darn cute! 4. Sock-Ons and Zutano Fleece Booties: Any mom knows how annoying it can be to constantly be losing baby socks and exposing cold toes! 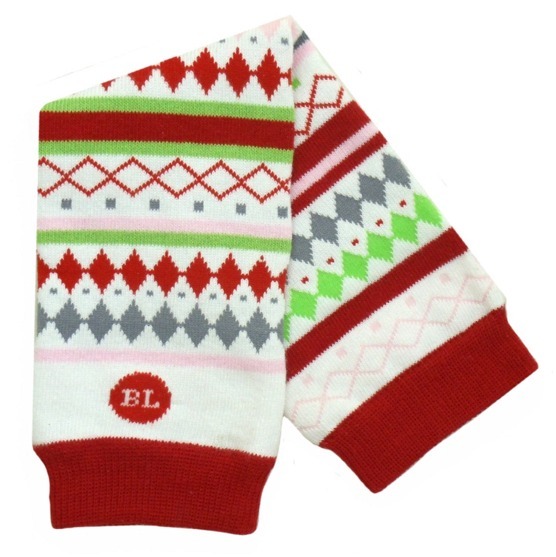 Sock-Ons go over socks to hold them in place and Zutano Booties take the place of them! 3. Amber Teething Necklaces: I know what you're thinking, how can a necklace worn against the skin help ease teething pain? It's magic, I swear! I was an unbeliever, too, and now I buy them for all my friends! Read more about Baltic Amber here. 1. 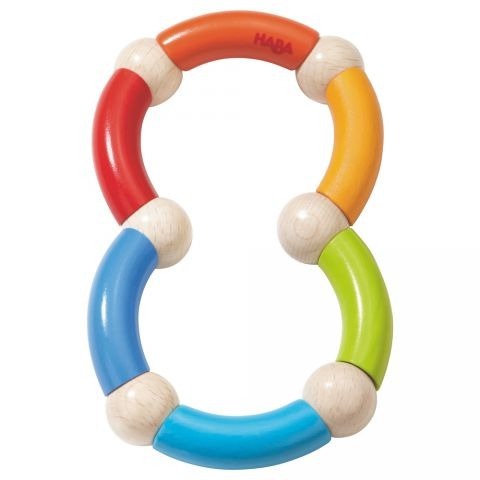 Haba Clutching Toys: Bright, fun, easy to hold, and safe for baby! What more can you ask for? 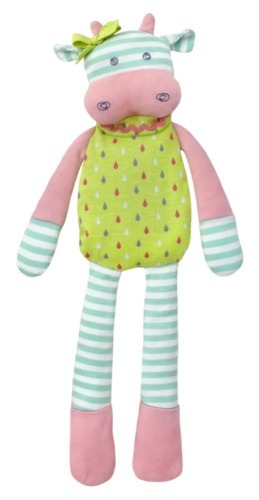 These adorable toys are a classic and will bring hours of enjoyment to your baby! The holiday season is my absolute favorite time of the year! There is nothing like seeing the joy on my children's faces as they open their presents on Christmas morning. My two oldest boys are 3 and 5 and they can easily come up with a list of gifts they would like. My youngest little guy just turned a year old and obviously doesn't have much of an opinion on the matter. I found myself really struggling to shop for him this year. I don't want to buy him presents just for the sake of buying presents. I want them to be something useful and something he really will enjoy! If you're like me and struggling a little bit too, I hope this list of my Top 10 Gifts for Ages 12-24 Months will help! 10. Hape Mini Maracas: This adorable pair of maracas are easy to hold, make the perfect amount of non-annoying sound, and make my little guy smile every time he shakes them! 9. 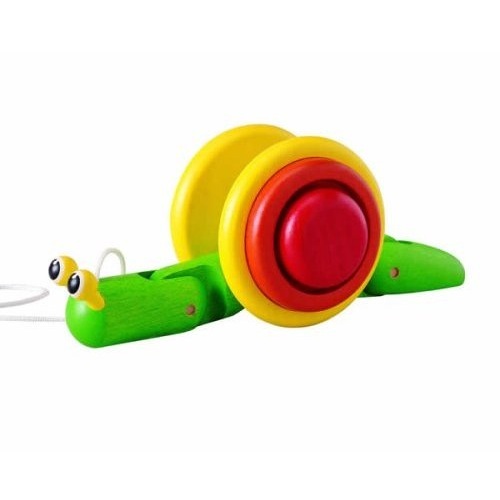 Plan Toys Pull-Along Snail: This toy is brightly colored, durable, and it's little body inches up and down as your child pulls it across the floor. I've bought this as a 1st Birthday gift before and it was a huge hit even with the grown-ups! 8. 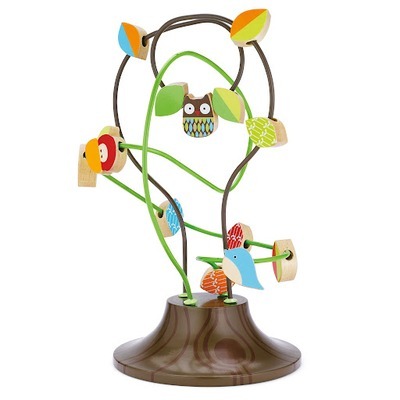 Skip Hop Treetop Friends Busy Bead Tree: Help your child exercise their fine motor skills as they move these wooden beads along the branches of the tree. 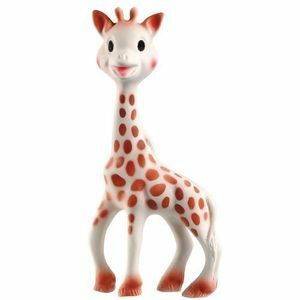 The modern look of this toy makes it a cute addition to any living space. 7. 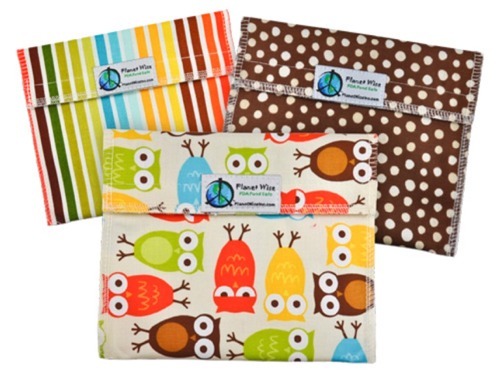 Planet Wise Snack Bags: Fill them with their favorite snack or use them to keep keep toys and pacifiers clean! Lots of great prints to choose from! Functionality meets fun! 6. Mocc On Slippers: Think practical! 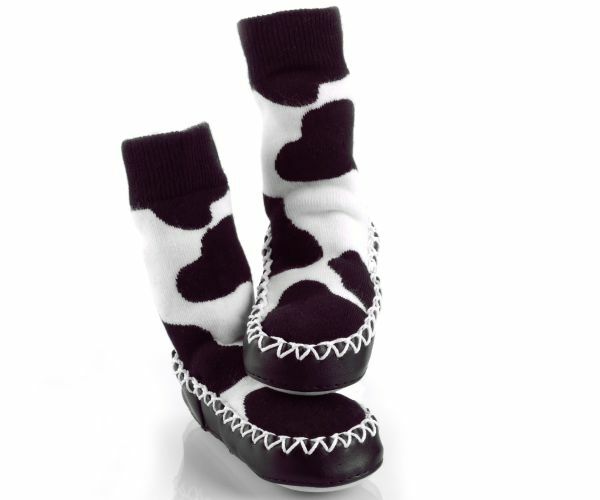 Not only will these slippers keep your little one's toes warm, the leather bottom will prevent slipping and the adorable prints will make them WANT to wear them! 5. 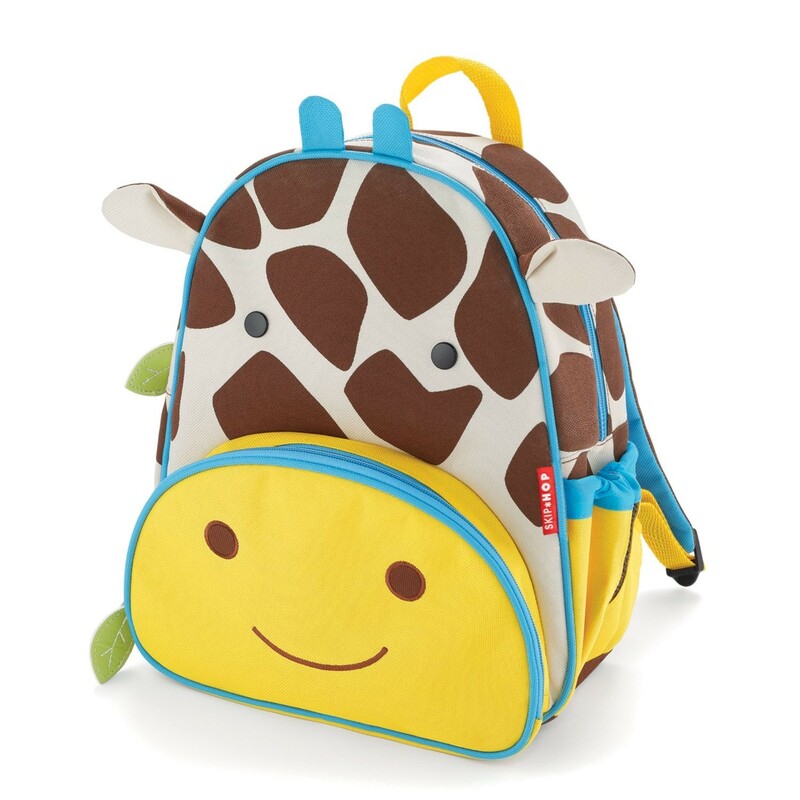 Skip Hop Zoo Packs: Let them flex their newly found independence by choose which toys and books to tote around in these adorable bag. So many animals to choose from! Bonus, matching lunch boxes are available! 4. 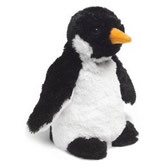 Cozy Plush Animals: Perfect for snuggling up on the couch on a chilly winter night! These animals go in the microwave and come out smelling like calming lavender. Don't tell the kids, but they're perfect for adults aching muscles, too! 3. Aden & Anais Dream Blankets: We may be done with swaddling, but my love for Aden & Anais products doesn't end there. Dream blankets are ultra-soft and make for the perfect lovey for your toddler. 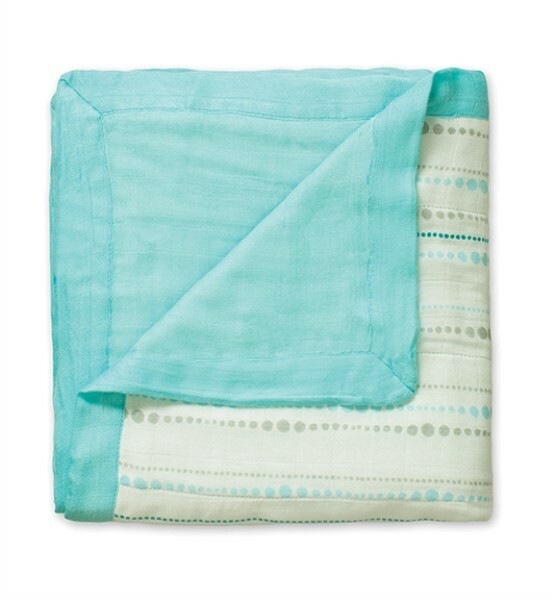 For ultimate luxury, treat your little one to a Bamboo Dream Blanket! 2. 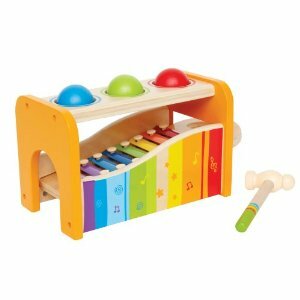 Hape Pound and Tap Bench: What's better than a toy you can pound on? How about one that you can pound on AND make music?! Hours of fun will surely be had with this high quality and brightly colored toy! 1. Sophie the Giraffe: No surprise here! This toy has been a favorite in our family for all 3 of my children. Sophie goes beyond teething, though. She keeps little hands busy in the car seat or on the changing table, she plays in doll houses, she rides firetrucks, she does it all!